Project a Camel is a take-no-prisoners DHT PP based on Lynn Olson Aurora topology. Unfortunately, I'm stuck waiting for Lundahl transformers (three months... that famous Nordic attention to detail... one turn a day...).Well, before Camel is born, there was his baby - sans interstage transformers, yet with all DHT stages (all tubes from Svetlana 1970-s). 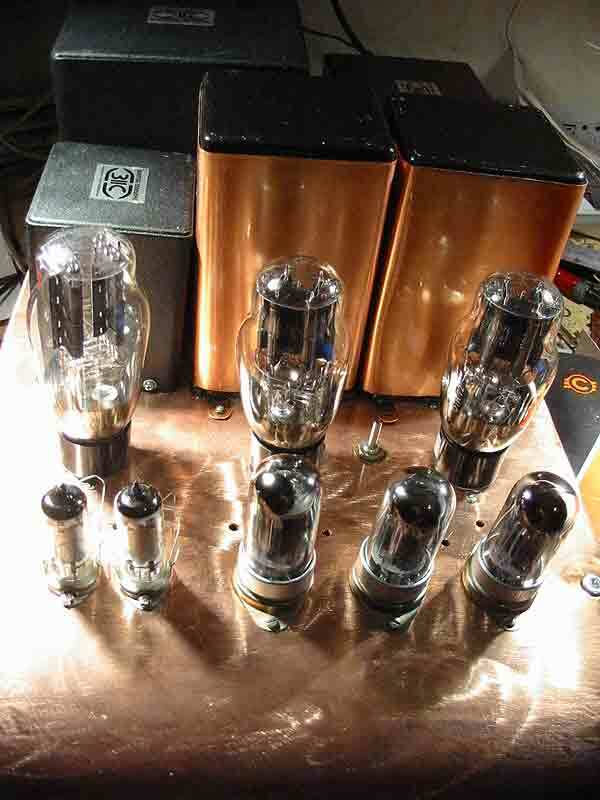 OK, the input/splitter are not DHT's but DHP's - 4P1L - triode wired. 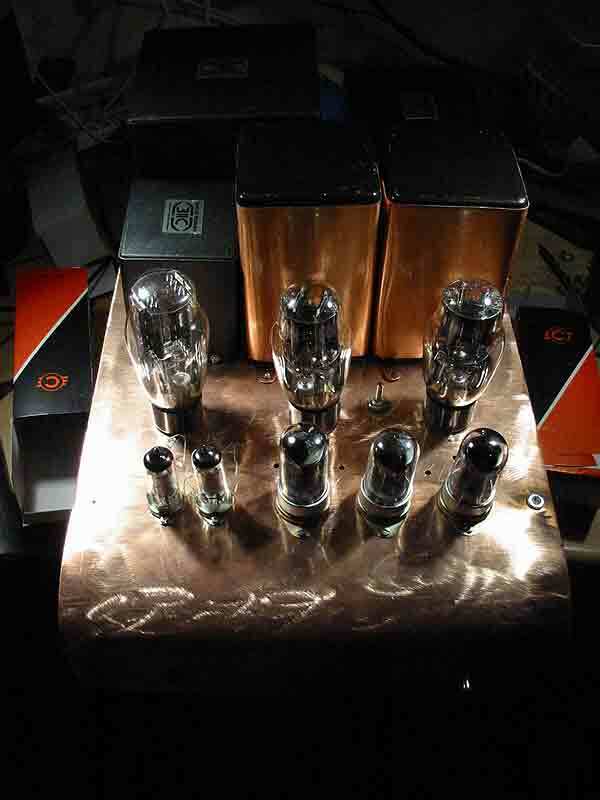 Mullard 3-tube input/splitter topology, cap-coupled to cathode bias 6B4G PP. First stage uses battery bias (no cathode resistor). Only paper capacitors everywhere. Gas regulators for the first stage. Later, I replaced Mullard splitter with IT splitter in a Loftin White arrangement. It has gain about 90 at the second stage plate. Next steps: rewire IT to a step-down ration (right now it's a stock 1+1:1.25+1.25) and replace first stage load for a Gary Pimm CCS. Note the different shade of copper: chassis is coarsely grinder-sanded, uncoated, capacitor covers are fine sanded, urethane-coated (Cramolin Clear).